Homeowners are always looking for different and more effective ways to heat their homes in the winter months. With crazy heating costs affecting everyone, wouldn’t you want to have a heating system that was designed to help you get the desired heating temperature and save you money? That is what Rinnai does, they offer you a different way to heat your home and at the same time save you money. This system is a Direct Vent Wall Furnace. 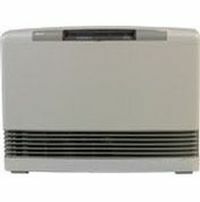 There are many advantages of using this heating style as opposed to others. Some of these advantages include a comfortable and constant heating source that does not allow any large changes in the room temperature. 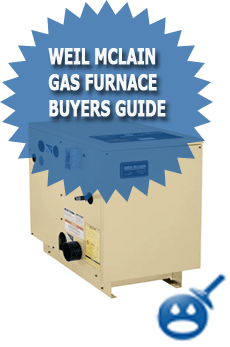 With a Direct Vent Wall Furnace installation there is no need for any clearance requirements unlike other furnaces. These products are reliable and low maintenance. 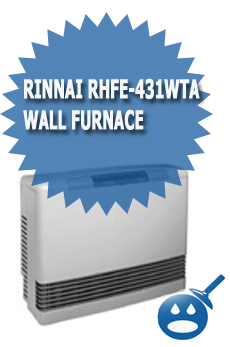 One of the Rinnai Direct Vent Wall Furnaces that can get the job done is the RHFE-431 FAIII. This product can offer you so many great features and benefits. Let’s take a look at the RHFE-431 FAIII and see if this heating source can be an asset to your home and your wallet. This system has a modern design that doesn’t look like your grandparents furnace. These systems are created with current technology and innovative designs. Some of the features of the Rinnai RHFE-431 FAIII Direct Vent Wall Furnace is the Smart Technology. With the RHFE-431 you will find that the system will adjust to keep your home warm and comfortable. The system is always monitoring the area that is being heated and will prevent cold spots or overheating. This system has a 100% fully programmable thermostat so you can control the settings. Another great feature of the Rinnai RHFE-431 FAIII Direct Vent Wall Furnace is the efficiency. This model offers 83 % AFUE. The direct vent wall furnace comes with a 7-day programmable thermostat that allows you to set the temperature higher on the days when you are home and lower on the days you are not. Since this system is a direct vent system, there is no need for a duct system. This ductless system allows for less heat and energy to escape during operation. These heating systems are also one of the quietest on the market. Since the fan components inside are so efficient they actually run at a very low decibel. This system offers a sealed combustion that was created with indoor air quality in mind. If you live with asthma or other breathing conditions, having this heating system can and will improve the quality of air you are talking in. This direct venting system can be used with Natural Gas and Liquid Propane. The input range or BTU’s on the RHFE-431 is a minimum of 7,200 on both natural gas and liquid propane and a maximum BTU is 16,700. These units are so compact that they measure in at 29-1/2″ in width x 21-13-16″ in height x 9-7/8″ in diameter. 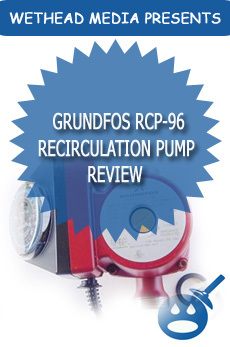 The electrical requirement for this system is 120 AC Volts and 60 Hz. The temperature range on this system is 60 degrees Fahrenheit to 80 degrees Fahrenheit. These direct venting system works well in residential homes, apartment complexes, lake homes and even manufactured homes. This system is available in White. This direct venting wall furnace offers a 10 second response time unlike other heating methods that can make you wait more than 5 minutes for heat. The unit has an increased fan speed and a BYU output that is necessary to get the set temperature. If the temperature in the room drops the heating system will restart and bring back the room to the desired temperature that you set. If there comes a burst of cool air the system will set out a higher fan speed and the BTU’s will reset the room temperature back to the beginning. There are so many great specifications and features of the Rinnai RHFE-431 FAIII Direct Vent Wall Furnace that we could not name them all. This system will save you money and help keep the room temperature on the setting you set. The Thermistor lets the system register and then adapt to the small temperature changes. This system only provides heat as needed. Rinnai offers a 10-year heat exchanger limited warranty for all residential installations only. There is also a 5-year warranty on all parts and 2-year warranty on labor. This system is a Cool To Touch System that protects you and your children from getting hurt if accidentally touched. This system is priced around $ 1000 but can vary from place to place.